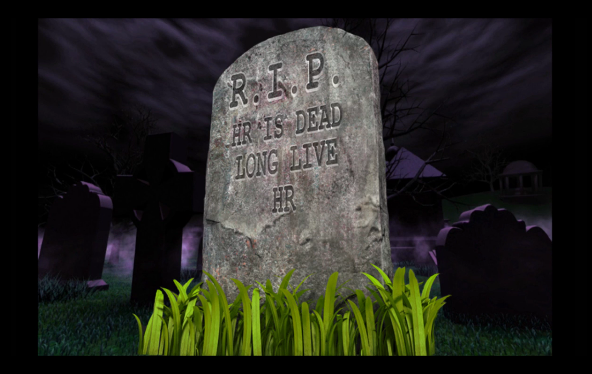 HR is Dead - Long Live HR! Welcome to this our perennial JFI Research Cycle #5 2017 ~ ongoing and updated year-on-year. The business world is changing fast and the role of HR and Learning & Development inside organisations appears to be constantly under threat with numerous budget cuts and limitations that affect the way organisations learn and develop and create inspirational insights.. It makes you wonder if perhaps HR might become obsolete. At JFI Research we started to think the same thing and concluded that the HR function as we know it, IS dead, or perhaps it should be? To explore the validity of this controversial statement, back in 2013 (Cycle #1), we started conducting some light-touch opinion gathering. We did this alongside the work that we were doing at the JFI Store and, whilst on numerous trips around the world delivering training and masterclass workshops, keynote presentations, vocal coaching, advising on EC learning projects and undertaking quality assessments in HR and L&D functions. We used all of these opportunities to continually capture the thoughts of those who attended, and started to build up a picture about how HR was perceived around the world. From the start we have been asking not only C-level executives, but also HR, L& D, OD and other associated Professionals about the HR function. We wanted to know how it was seen through the eyes of those who use it as well as those who work in it. This ongoing research question means we can get as wide a range of views as is possible, each year, and we can monitor changes in trends of opinion. Learning from the results we can provide new and exciting material for future specialist workshops and drive forward our unique initiative "HR IS DEAD ~ THE MOVEMENT" as well as generating discussion online at JFI Radio. So, can you help us to continue to capture the HR mood? In your country or company, the HR function may or may or may not include specialist services e.g. Personnel, Recruitment, Talent Management, Payroll, Vocational Training, Corporate University, Organization Development, Occupational Health (Wellbeing/Wellness) etc... For this survey, we're using HR as an umbrella term. This survey will take less than 5 minutes. We will NOT share your contact information or answers with any third party and only add your email address to our mailing list if you indicate that you wish to be informed of research results. Information collected will only be used in aggregate for our research which we publish under Creative Commons licence. Thank you very much for your time ~ together let's shake the HR world up a bit!